Obamacare: cure for a broken system or political disease? Do Tuesday's elections show that voters eventually will accept Obamacare, or is it becoming a political disease for Democrats? 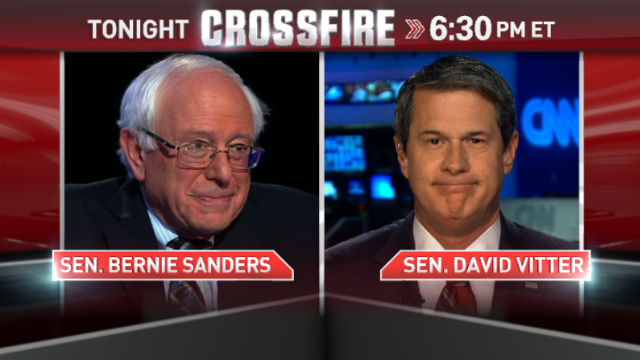 Republican Sen. David Vitter and Independent Sen. Bernie Sanders join Van Jones and Newt Gingrich in the #Crossfire tonight at 6:30pm ET to discuss. We want you to weigh in: How do you think Obamacare affected Democrats in Tuesday’s elections? Vote by tweeting with Hurt or Helped using #Crossfire or comment on our Facebook post. View results below or through our Poptip results page if you are on a mobile device. Title should read: "Obamacare: Not a Cure for a Broken System AND ALSO a Political Disease"
It's amazing to me how Democrats mindlessly parroted the phrase: "If you like your insurance, you can keep your insurance." over and over and over again. And now, they're distancing themselves from Obama and the administration like rats abandoning a sinking ship. This week, Stephanie Cutter openly admitted on air to using this same phrase, herself, many times. Remember that Stephanie is part of this administration. She helped create this very dishonest and very dishonorable administration. 75% of the country had insurance. 25% did not. Why not just fix the 25% instead of distroying the entire system? Also Obamacare has redefined the standard work week down from 40hrs. to 30hrs. Why is ther no outrage about that? Insurance is a major part of the whole problem. Insurance wastes 25% or more of your health care dollars for NO VALUE ADDED to your healthcare. The ONLY solution (since providers aren't willing to compete on prices) is a single payer system. A single payer system is the ONLY system that will allow us, as an entire nation, to negotiate better health care prices (the real health care issue). According to The White House people with cancer can just die like they want Edie Sundby do to. Come on people, Obamacare is the way to go. So what if you rich people have to pay more then I do, I deserve to be helped. Life has been unfair to me, it's hard to find a job. I have 6 kids that need fed and clothed. It's hard to do on just minimum wage and what unemployment pays. Then on top of that, they cut my food stamps. This country is going crazy. Why do republicans hate the poor? Mr Gingrich, in his disingenuous style one should be used to by now, quoted the one or two medical conditions in which the US happens to do relatively well, at least relative to the UK. He conveniently ignores the overwhelming evidence of the poor performance of the US health care system, and its at least twice as high cost as the OECD average. The arguments of Sen. Vitter were equally disingenuous. He says he is concerned about the 19,000 people SUPPOSEDLY loosing their insurance because of ObamaCare, but in spite of all his protestations, actual GOP (in-)action shows he was never concerned about all the policy cancellations by private insurances long before ObamaCare. Say that the US got single payer and the government ran and gave everyone free insurance, and my 90 yrs old grand ma can get that new hip. Who gunna pay for all this. Were 17 trillion in debt and out taxes are already thru the roof. Were are all these doctors coming from? What about the 15 million illegals. This is a sick joke. Free market capitalism and compition will fox health care. It only matters that it's hurting middle class Americans. I thought the grand plan with the ACA was to get the uninsured insured, opposed to getting the insured uninsured. If they can't even get the website to run, good luck with trying to get any claims processed. It's private insurance companies that process the claims. You do know that right? No, I bet not. I always enjoyed X-fire in the past, but with all the credible, intelligent conservatives available, why Gingrich?? Makes it unwatchable. Why limit the RANT to Dems??? The 2-party system is just that. If you believe the GOP is any less ruthless and corrupt than the Dems then you really need to look harder.